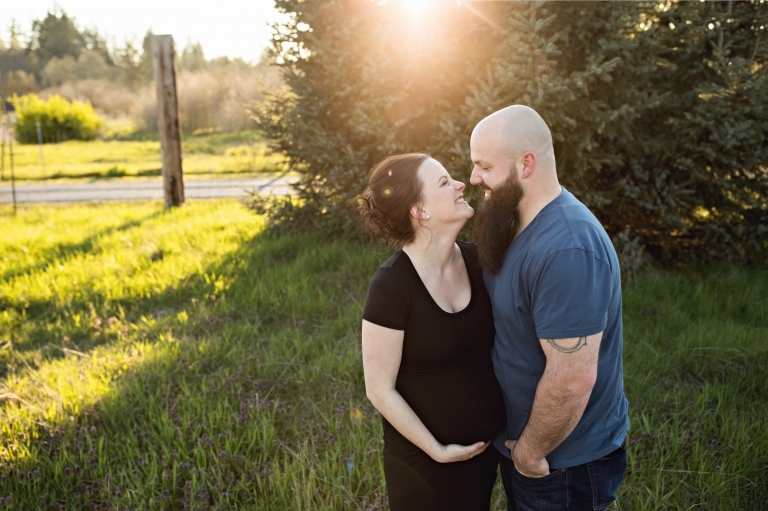 When this couple asked me to be their Tacoma Maternity Photographer, I was thrilled! They just so happen to be my brother’s good friends, so it made the session even more special! This expecting couple was easygoing and relaxed. I really enjoyed chatting with them and enjoying the warm, sunny evening! They made my job easy the night of their session! All of my maternity and family sessions are scheduled at sunset. This allows for the best lighting and creates the best look for the images. There’s just something about a sunset session that creates a beautiful, happy look to the experience too! 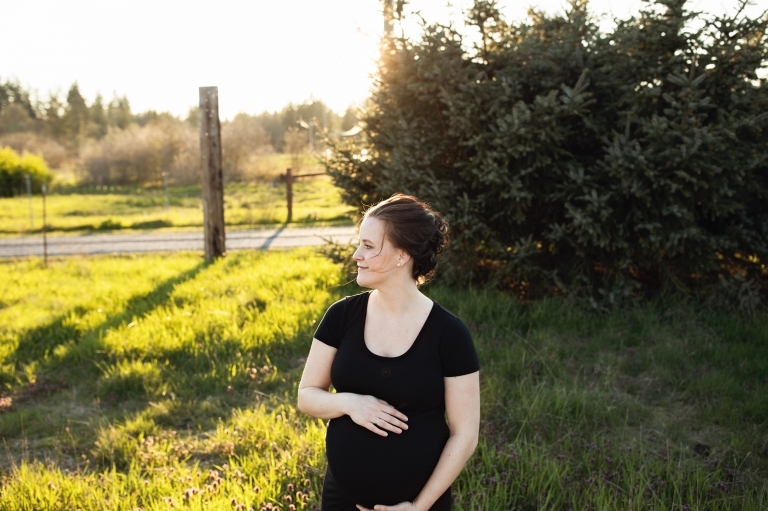 This sunset maternity session was done at the old Mayflower Dairy Farm in Puyallup. Its a very popular place for photographers, but we got lucky the night of their session. We were the only ones there and we had the entire area to ourselves! These two are so in love and you can always tell by the way they ease into posing. They were comfortable loving on one another and made my job easy!